How many times have you heard Palestine (or Israel) is the homeland of two peoples? United Nations Security Council Resolution 2334 is a Chapter VI resolution. It’s one of many reminders to Israel of that state’s obligations to the law. In fact the majority of resolutions against Israel are only reminders. Had Israel adhered to the law there’d be no reminders. The Israeli reaction against the US on this matter is simply nonsense. Permanent UNSC Members cannot and do not veto the binding International Laws, UN Charter cited in a Chapter VI resolution. Despite a resolution being vetoed, the Law and UN Charter reaffirmed and emphasized in the resolution remain in force and an obligation on the parties. The US usually abstains from voting in the hope that a majority will also abstain. So what is the big deal about the US abstaining on this resolution? NOTHING! The US abstained as it has done numerous times before on numerous Chapter VI resolutions. 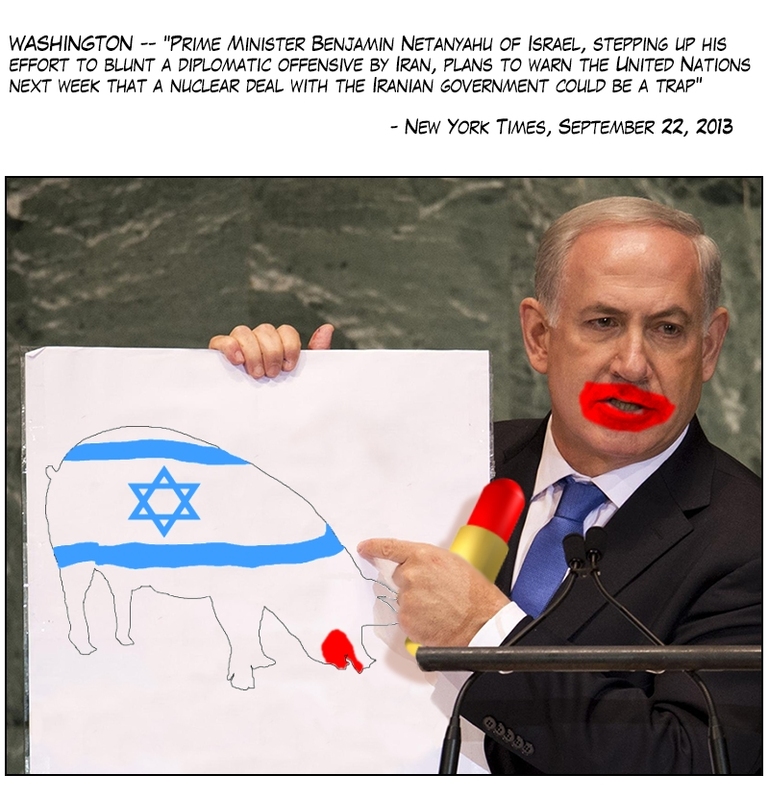 What is Israel yapping about? The resolution was unanimously adopted by those who chose to vote. That’s how the UN works. 2334 is quite simply a concise round up of all the prior UNSC resolutions reminding Israel of its binding legal obligations. If Israel adhered to the law, there’d be no resolutions against it. On December 6, the IDF Spokesperson tweeted in English a photo of a map described as “declassified,” showing Hezbollah military positions scattered among Lebanese villages. Eighty-five villages appear on the pictured map along with thousands of sites tagged as military sites of combat equipment, launch sites, anti-aircraft and infantry positions. “This is a war crime,” the tweet said. It was retweeted hundreds of times. However, under International Law it is legal to defend ones towns and villages. Laws of War, Art. 25. 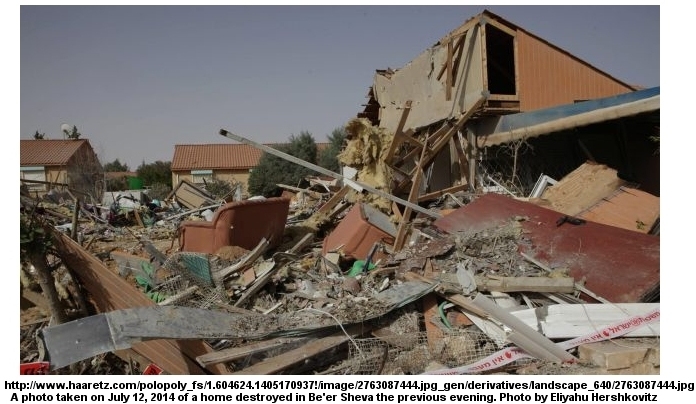 The attack or bombardment, by whatever means, of towns, villages, dwellings, or buildings which are undefended is prohibited. When we look at Gaza and the West Bank, it’s obvious they have no defenses against Israeli missiles, bombs, war planes, artillery fired from war ships miles out to sea, fletchettes, white phosphorus (used during daylight hours so not for illumination and in areas where there were no Israeli troops to hide in its smoke, not that anyone would want to hide in its smoke, it can be lethal. Lie No# 1 – Israel stifles the ability of the Palestinians to develop science, creativity, knowledge, agriculture, self determination, by illegally acquiring Palestinian land and suppressing them, with the IDF. The IDF is an army! A) Peres was a member of the terrorist Haganah. They did not stop until their goal was achieved. B) Already he forgot the wars “waged over territory” in which Israel has illegally ‘acquired by war’ some 50% of the Palestinians rightful territories since 1948. ” The new millennium must liberate the world, from bloodshed, from discrimination, from hunger, from ignorance, from maladies. 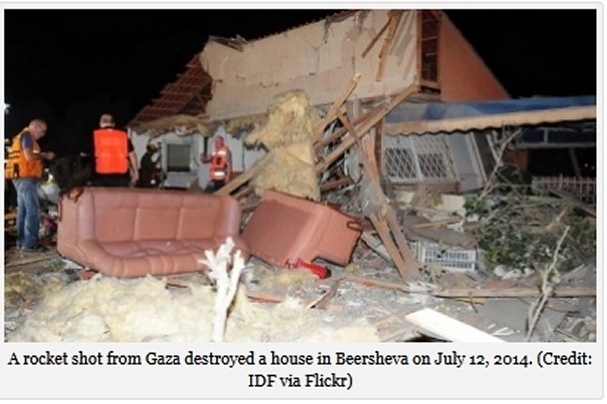 Lie No# 2 – Israeli/Jewish forces OUTSIDE OF Israel’s Sovereign territories were attacked. Israel was acting outside of it’s actual Sovereign territory. It did not ask for UN help, because it knew it would not be forthcoming. There is no UNSC Resolution condemning the Arab States Invasion of PALESTINE. Israel had just been declared independent of Palestine, even as Jewish forces were outside of the territory being declared as Sovereign. What was a civil war escalation under Plan Dalet, became a war waged by a State (Israel) on a non-state entity, the moment Israel declared it’s sovereign territory and adopted the Jewish forces outside of it’s sovereign territory. The Arab States had a right, as Regional Powers, to attempt to expel foreign forces from the non-state entity they represented. “Never giving up on hope, we developed science. We found that the future is in our hands. We learned that people can enrich land, no less than land can nourish the people. 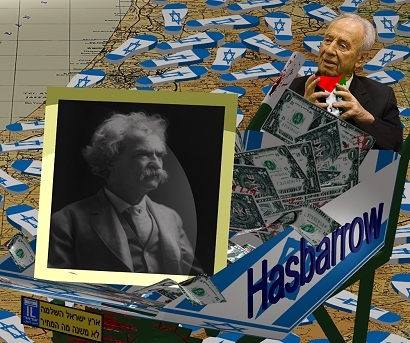 Lie No# 3 – The Jewish Colonial Trust was one of the first things setup by the Zionist Federation garnering support from Jewish people around the world, because it DID depend on capital. The Kibbutz was poor. He was poor. He had only two pairs of pants. The Zionist Federation and the Institutions had more than two suits. Theodor Herzl didn’t even bother to go live in Israel. Never worked on a kibbutz. Lie No# 4 – Israel was FIRST required to AGREE to the terms of a Peace Treaty. The Terms it acquiesced to, required Israel to AGREE to WITHDRAW from ALL of Egypt’s territory, then implement the WITHDRAWAL and FINALIZE the withdrawal, BEFORE peaceful relations resumed. Israel is still claiming territory OUTSIDE of it’s Sovereignty. No Arab State has claimed ANY Israeli territory since the Declaration of the State of Israel …within frontiers approved by the General Assembly of the United Nations in its Resolution of November 29, 1947,. Israel has never legally annexed ANY territory. Not the undeclared territory ‘acquired’ by war by 1950 or “territories occupied” and never withdrawn from. Left under in the trust of a Regional Occupying Power. “The territorial dispute with Lebanon has ended and acknowledged so by the UN. Lie No# 6 – ‘I believe that we shall succeed’… By Israel continuing to act illegally by aiding and abetting the ILLEGAL settlements continuing in “territories occupied”. It is against the GC’s. The GC’s were formulated in large part because of the horrors perpetuated on the Jewish people. They are there in order to protect all civilians, including those of the Occupying Power, by keeping them out of areas where arms might be expected, especially when that territory belongs to someone else. It is also against Israeli law for Israeli citizens to enter a hostile entity. Does he really expect talks to succeed while Israel continues to act outside the law? While illegal settlers blatantly flaunt the International Law. Israel agreed to uphold International Law. 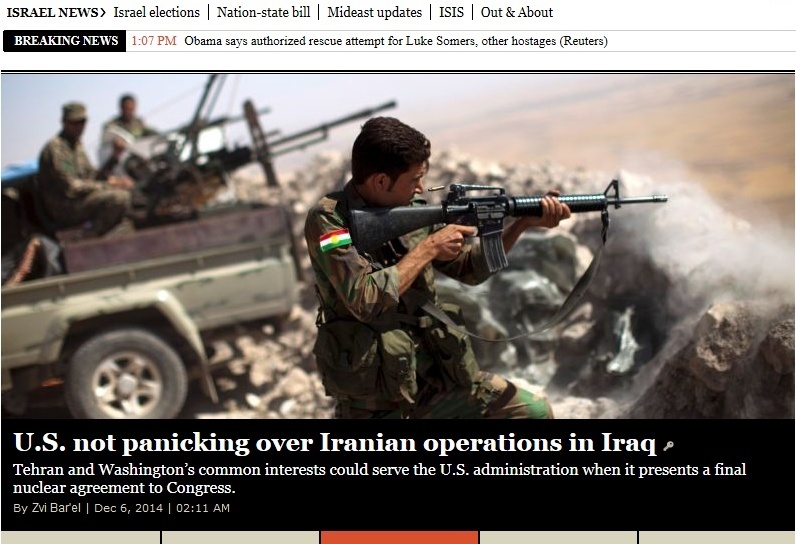 At this time, it has done NO THING to uphold International Law. It is shamefull. “We are ready to enter in direct negotiations with Syria immediately. Our farmers produce 8-folds per acre compared with the nation’s early days. The need for water was cut in half. We employed desalination, recycling, drip and electronic irrigation and bio-engineering to create new seeds and richer crops. The farmer’s contribution to the GDP equals that of a high-tech engineer. To cultivate land, you have to cultivate education and improve health. 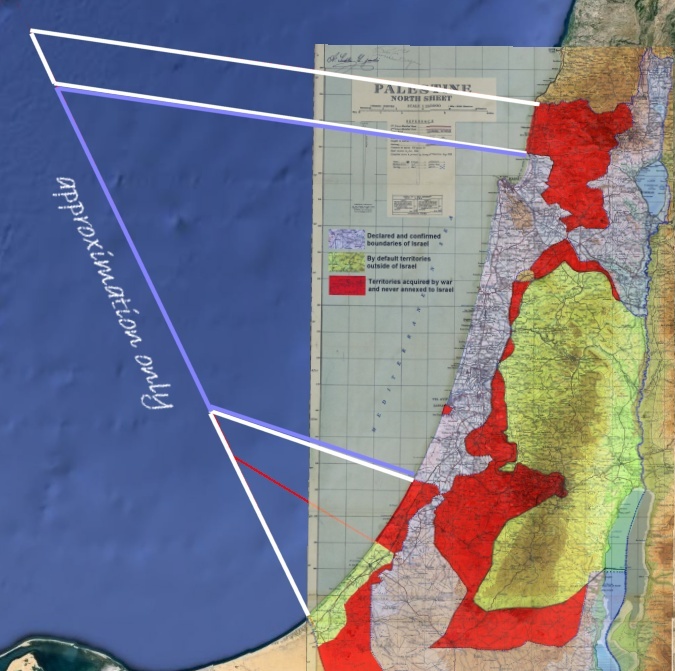 Lie No# 7 – Agriculture and trees planted in Illegally ‘acquired’ territory by 1950 (never annexed) and in ‘territories occupied’ (illegally annexed) are NOT IN Israel. ONE THIRD of the territory Israel claims as it’s own, ISN’T. Our call includes also nations that don’t have diplomatic ties with us. “I believe that the Middle East has room for every person, every nation, every religion. 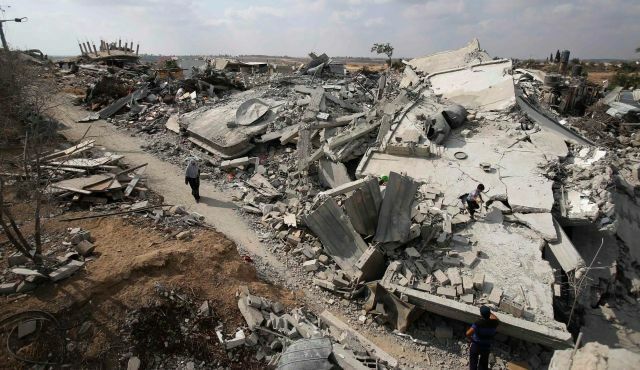 Lie No# 9 – Israel kills, actually maintains superiority over the Palestinians, illegally acquires their territory, occupies them, illegally annexes, illegally settles, has dispossessed half the population and has threatened them if they did not comply. Every day. For 62 years. Lie No# 10 – He worked in two – Kibbutz Alumot, which was in desert. In his time it was a failure. It didn’t blossom in the desert. ” I owned, like all members, two shirts and two pairs of pants. There was a third pair of pants: made of flannel reserved for grooms only. Lie No# 11 – Kibutz Alumot was a failure in his time, it didn’t turn the desert into garden. It was abandoned until 1967 and Kibbutz Geva was not in the desert, it had been a fertile garden for centuries. 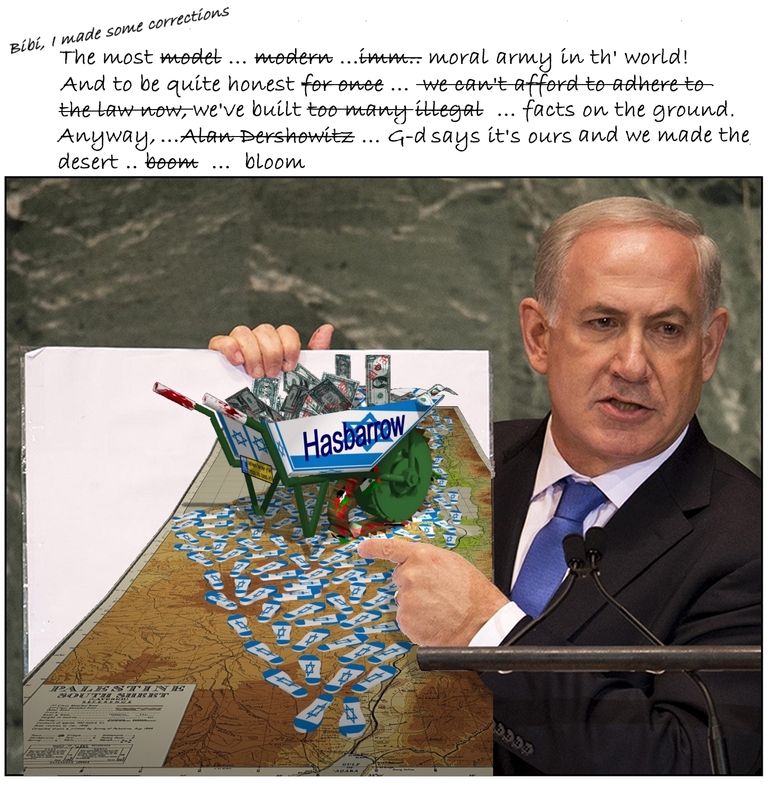 Lie No# 12 – Except for the Palestinians who Israel continues to dispossess and occupy. Whose land Israel continues to illegally acquire. 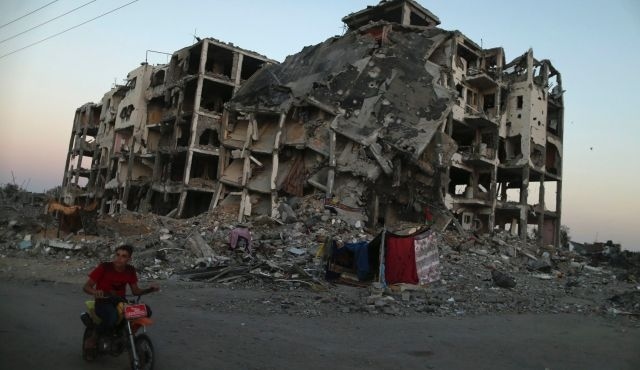 Who Israel will not allow trade in or out of Gaza, stifling any development and productivity. Lie No# 13 – He was a member of the terrorist outfit Haganah, who fought to establish Israel. He has become the President. If he wasn’t a terrorist, he wouldn’t be President. A hungry world will never be peaceful. 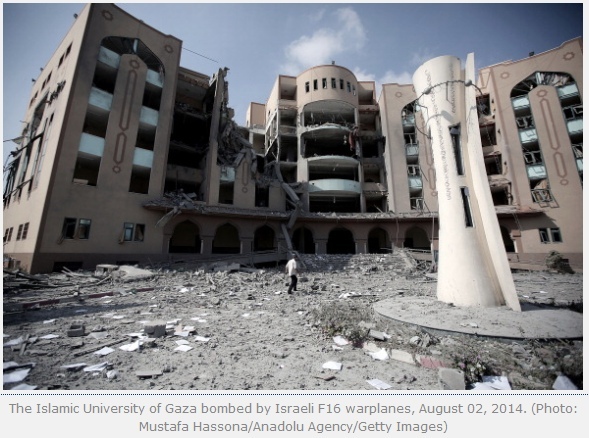 Lie No# 14 – Israel currently has an embargo on ALL Palestinian citizens in Gaza. Until Israel lifted some restrictions after the outcry over it’s unwarranted attack on the Mavi Marmara, the embargo included foodstuffs. However, the Palestinians aren’t claiming a future Palestinian state would or should be free of Jews. Abbas, “we would not see the presence of a single Israeli” . It makes perfect sense to demand that foreigners become citizens of Palestine before they can legally settle in the State of Palestine. After all, Israel doesn’t allow non-Israelis to illegally settle in Israel. 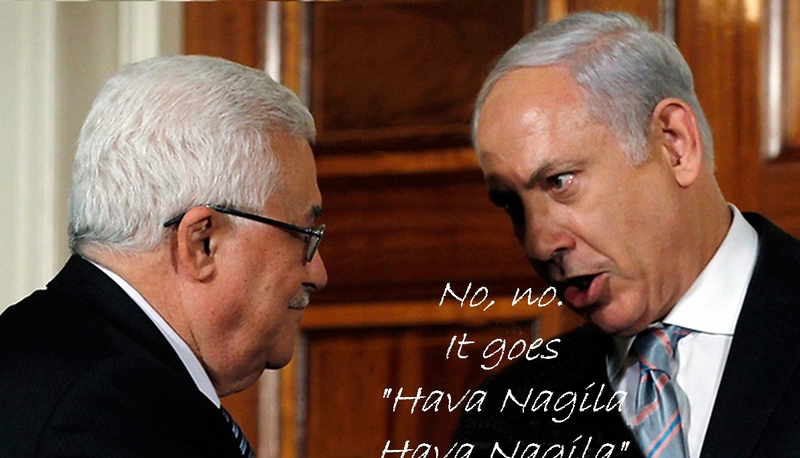 Abbas is of course correct. Whether they are Jewish or non-Jewish, citizens of the Occupying Power are prohibited under International Law from illegally settling in territories that power holds under military occupation. Moshe Arens has taken Netanyahu’s blatantly false claim and run with it as though it has some substance. Does Geneva Convention IV apply to the West Bank? The UNSC says it does! According to the Israeli narrative “Jordan illegally occupied Judea and Samaria” after the 1948 war. Fact is, on the 3rd of April 1949 Israel signed an Armistice Agreement with the Hashemite Jordan Kingdom leaving Jordan legally in military control of what was official renamed the West Bank. The Israeli narrative also tells us “Jordan’s annexation of the West Bank was illegal”. By the UNSC resolutions, reaffirming and emphasizing binding Law/UN Charter/etc, the Israeli narrative is simply bullsh*t! Israeli propaganda depends on you not checking! Have you ever checked or thought about these notions? 1) Illegal occupation. Israel signed an Armistice Agreement with Jordan. If the Jordanian occupation of the West Bank was illegal, where does that leave Israel’s May 22nd 1948 self admitted occupation of territories “outside the State of Israel”? 2) Illegal annexation. Unlike the unilateral annexation of East Jerusalem by Israel, not recognized by anyone, condemned by the UNSC with at least eight reminders affording Israel the opportunity to abide by the binding Law, the UN Charter and relevant conventions re-affirmed and emphasized in those resolutions, Jordan’s bilateral annexation of what became known as the West Bank was by agreement with the occupied. 3) Recognition of annexed territories. A) The legality of annexation is not dependent on recognition. It is dependent on self determination per the UN Charter (ibid). B) if we take the Israeli propaganda claiming illegality because only two or three countries recognized the Jordanian annexation, where does it leave the legality of Israel’s unilateral annexation of East Jerusalem, recognized by no one? 4) GC IV. Israeli propaganda claims it is not applicable to the West Bank/Israeli settlements because the West Bank was not a High Contracting Power. However, in 1967 the West Bank was under the sovereignty of Jordan, who at the time was a UN Member State and a High Contracting Power. One only needs to scratch the surface. 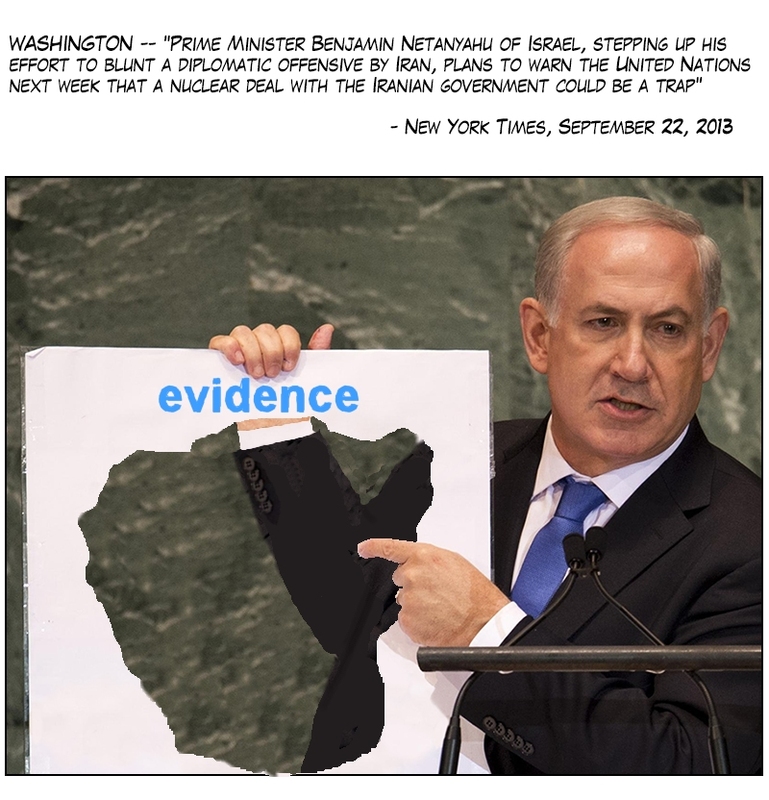 The Israeli narrative is bullsh*t! More theft by Israel. Not showing Jewish values! A new natural gas field off Israel’s Mediterranean coast may hold about 3.2 trillion cubic feet of gas, about one third the size of the giant Tamar field, its two Israeli partners said Sunday after conducting a 3D seismic survey of the area. If the estimate is accurate, reserves for the Royee prospect, located about 150 kilometers (93 miles) offshore Israel and close to its maritime borders with Cyprus and Egypt, would be the third-largest discovered in Israeli waters and the fourth-largest in the Mediterranean Basin, said Israel Opportunity, a partner in the group. Problem … Under which official agreement did Israel legally acquire the territories “outside the State of Israel” … “in Palestine”? the acquisition of territory by war was illegal by 1933 under the Montevideo Convention on the Rights and Duties of States, adopted into the UN Charter 1945, International Law when Israel’s boundaries were proclaimed and recognized! Israel’s Mediterranean coastline extends only as far South as Ashdod and North as far as Acre! 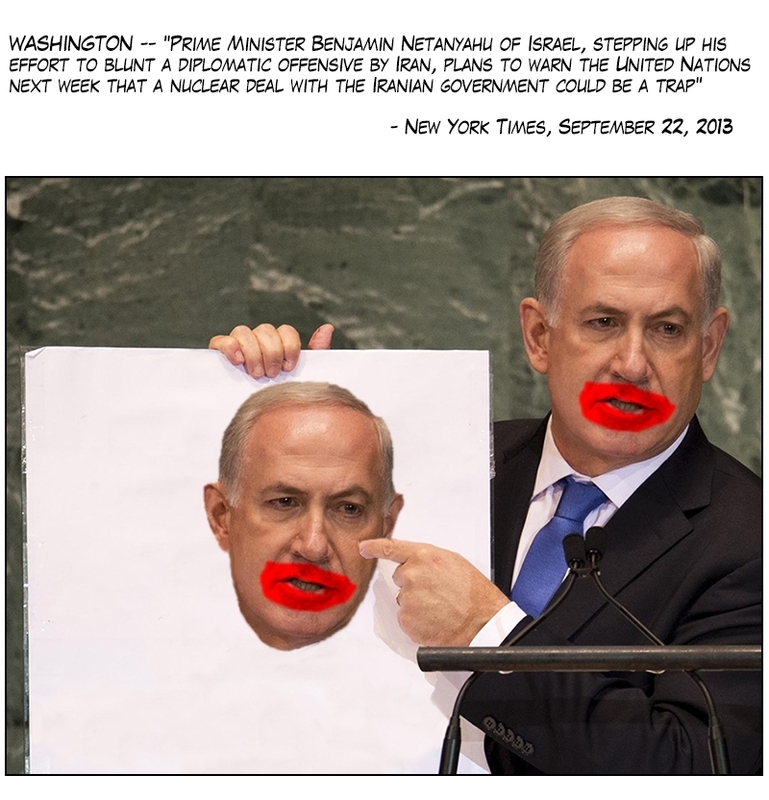 The Hasbara is really stupid propaganda. Laws reaffirmed in UN resolutions are binding! You’ll see it again and again .. UN/UNGA and UNSC Chapt VI resolutions are non binding. However, the UN Charter itself is binding on ALL Members in its entirety. That matters be resolved peacefully in accordance with International Law and the UN Charter is binding. UN Charter chapters re-affirmed and/or emphasized in an UN/UNGA/UNSC resolution are as a matter of course binding! They do not suddenly become non-binding just because they’re in a so called ‘non-binding’ resolution. Similarly International and Customary International Law is binding. Laws re-affirmed and/or emphasized in an UN/UNGA/UNSC resolution are binding! Likewise conventions that have been ratified by a majority of the International Comity of Nations automatically pass into Customary International Law and are thereby binding. The majority of Nations have ratified the Geneva Conventions. Geneva conventions re-affirmed and/or emphasized in an UN/UNGA/UNSC resolutions are binding! So what? Like all Hasbara, where Arafat was born is irrelevant to the actual sovereign extent of Israel’s self proclaimed, Internationally recognized boundaries and Israel’s illegal activities as the Occupying Power over non-Israeli territories over the last 66 years. That’s right 66 years! Not since 1967 as often claimed! 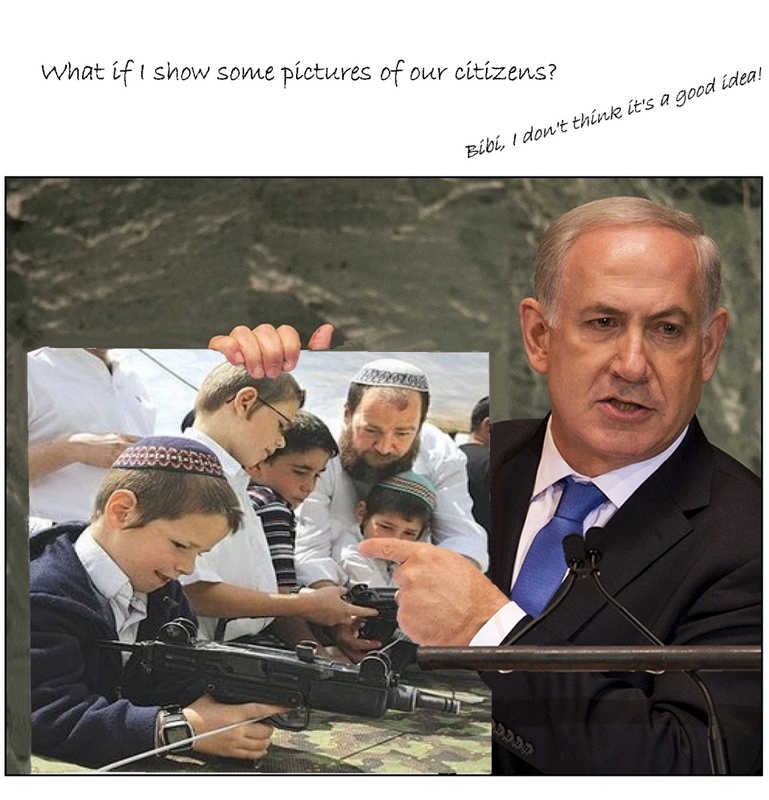 Who does Israel think it’s fooling with fake photos? 1) The water pipes either side are completely un-damaged. It simply DOES NOT look like a rocket of that diameter has buried the majority of its length in the earth! 2) A rocket might have struck this house at some time, but there’s no signs of charring from a grad explosion WHAT SO EVER!!! Is it a photo of demolition work? 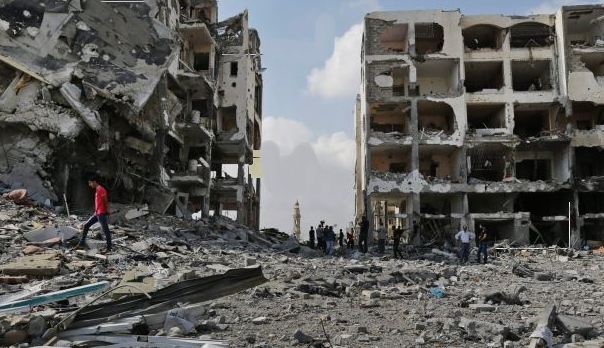 See how Israel’s Magic Sofa Chairs resist the charring and shrapnel you’d expect to see from a rocket explosion large enough to cause this amount of damage! The amount of damage it seems, was caused by the explosion of two gas cylinders allegedly set off by a grad rocket. Oddly there are no photos of the remnants of the alleged rocket. If it completely disintegrated, one would expect far more damage and a lot of charring. The Palestinians have no where to flee the war zone, not even the sea. Under the 2005 agreement and the Israeli/Egypt Peace Treaty Israel has had all the crossings closed including those with Egypt. Only an Occupying Power has this right. In the bigger picture, the Palestinians ask for far less than their LEGAL rights under the Laws and UN Charter which Israel is obliged to follow. Abbas offered in front of the world at the UN to concede 78% of their rightful territory for peace, Meanwhile while Israel offers nothing and makes demands that have absolutely no legal basis what so ever and continues its illegal expansionist policies. 15th May 1948 Letter From the Agent of the Provisional Government of Israel to the President of the United States, “MY DEAR MR. PRESIDENT: I have the honor to notify you that the state of Israel has been proclaimed as an independent republic within frontiers approved by the General Assembly of the United Nations in its Resolution of November 29, 1947, and that a provisional government has been charged to assume the rights and duties of government for preserving law and order within the boundaries of Israel, for defending the state against external aggression, and for discharging the obligations of Israel to the other nations of the world in accordance with international law. The Act of Independence will become effective at one minute after six o’clock on the evening of 14 May 1948, Washington time.” Israel has never legally acquired any further territory! The Palestinians ask for their legal rights under the Laws and UN Charter Israel agreed to uphold. Meanwhile, “Israel, the Occupying Power” makes demands that have no legal basis what so ever. Read UNSC res 476, one of EIGHT reminders to Israel of its legal obligations and giving Israel the OPPORTUNITY to adhere to the law. Unfortunately the Jewish state has failed to live up to the promises it made when it was proclaimed and when it became a UN Member state. Civilians who have RoR and wish to return to what was “proclaimed as an independent republic within frontiers approved by the General Assembly of the United Nations in its Resolution of November 29, 1947” had at the very least a right to have become full Israeli citizens under the notions of Self Determination Israel had embraced by becoming a UN Member state! If they fled before Israel proclaimed its borders, they were Palestine refugees. Refugees from Palestine. Under UNGA resolution 181 accepted “as binding” by the Jewish Agency, they had an equal right to be citizens of the Jewish state (Israeli) or; citizens of what remained of Palestine (Palestinians) or; take citizenship in a country other than the country of return, thereby forgoing refugee status. Refugees who have RoR to become Israeli citizens to Israel as proclaimed and recognized (ibid), are not Palestinian refugees! Palestinian refugees, citizens of the territory “outside the State of Israel” … “in Palestine” do not have a right of return to Israel. They do however have RoR to Palestinian territories Israel has illegally acquired by war and never legally annexed since proclaiming its sovereign extent and obligations to International Law to the world on May 15th 1948 (ibid). Israel agree to two states? Israel’s intentions were voiced to the Conciliation Commission on August 31st 1949. It’s actions since, show no change of plan. Despite the fact that the League of Nations Covenant Article 20 tells us Palestine was a state with provisional recognition, referenced in the very first line of the League of Nation Mandate for Palestine and in Article 7, one of Israel’s main assertions has been that Palestine has never been a state. The arguments are not only nonsense, they’re entirely irrelevant. States cannot simply take what is not their own without the express permission of the legal inhabitants. Since at least 1933 it has been illegal (inadmissible) to “acquire” territory by war, furthermore it is illegal for other states to recognize territories acquired by war. A fact confirmed by Schwebel, Lauterpacht & Herzog, who tell us territory may only be “restored” by war. No Israeli territories have ever been taken. Israel has never had to ‘restore’ any of its territories, it has been “acquiring” territory by war. Israel is no different from any other independent state. What lies outside of Israel’s legal sovereign extent, is simply not Israeli. Since Israel’s territories were proclaimed by the Israeli Government in their plea for recognition, no further territories have ever been legally acquired by Israel by any agreement and no state has ever recognized any territories acquired by war as Israeli. Israel’s official 31st of August 1949 claim (as a UN Member state) to alleged non-state territories of Palestine shows “respect for and acknowledgement of the sovereignty, territorial integrity and political independence of every State in the area” except for the Palestinian territories. Israel’s claim was refused BTW, citing the Armistice Agreements. The Egypt Israel Peace Treaty ensured Israel withdrew from all territories sovereign to Egypt before peaceful relations were assumed. Again eventually showing respect for the territory belonging to state in the region. Not so with the West Bank as it is now known, which was legally annexed by Jordan at the request of the Palestinians. Jordan’s annexation of that territory was as a trustee only (Session: 12-II Date: May 1950). Unlike the UNSC condemnation of Israel’s unilateral annexation of East Jerusalem, there is no UNSC condemnation of the bilateral annexation by Jordan. At the time of its capture by Israel in 1967, the west Bank was territory sovereign to Jordan, by then UN Member state and High Contracting Power. Which is why the UNSC considers Geneva Convention IV to apply. The vast majority of the International Community of Nations have already recognized Palestine as a state in accordance with the Palestinians 1988 declaration of statehood, where Palestine conceded 78% of their rightful territories for peace with Israel. Israel’s reply was to ignore and create even more illegal facts on the ground. Despite hundreds of UNSC resolutions affording Israel hundreds of opportunities to adhere to the binding Laws, UN Charter and relevant binding conventions those resolutions reaffirm and emphasize, why does Israel insist maintaining its stance in respect to the territories “outside the State of Israel” … “in Palestine” ? Perhaps the answer lies in one line of A) the Declaration of the Establishment of the State of Israel “The state of Israel ….will be based on freedom, justice and peace as envisaged by the prophets of Israel“ and one line from; B) Deuteronomy 20:15 which describes how territories not belonging to neighbouring states should be treated. In order to be accepted into the UN through a recommendation by the UNSC, Israel had to declare its independence “as envisaged in” the UN plan enshrined in the Declaration of the Establishment of the State of Israel and; the International Community of Nations granted recognition as asked by the Provisional Government of Israel. 31 August 1949 Addressed to the Chairman of the Conciliation Commission by Mr. Reuven. Shiloah Head of the Delegation of Israel and containing Replies to the Commission’s Questionnaire of 15 August 1949 I have the honour to acknowledge receipt of the Conciliation Commission’s memorandum of August 15 and to convey to you the answers of the Delegation of Israel to the questions submitted therein, 1. The Delegation of Israel is prepared to sign a declaration along the general lines suggested in Chapter I of the Commission’ s memorandum, subject to precision on the following specific points: (a) The Government of Israel considers that the solution of the refugee problem is to be sought primarily in the resettlement of the refugees in Arab territories, but it is prepared for its part, as already indicated to the Commission, to make it’s own contribution by agreeing to a measure of resettlement in Israel. (b) While the Government of Israel cannot bind itself in advance to the implementation of such solutions as the survey group may propose, it will undertake to facilitate the task of this group and to give full consideration to any proposals the group may put forward 2. The Delegation of Israel wishes to offer certain further comments on Chapter I of the Commission’s memorandum, in order to make its attitude perfectly clear: (a) The Delegation of Israel has taken note of the proviso that it is understood that the repatriated refugees will become ipso facto citizens of Israel and that no discrimination will be practised against them both with regard to the civil and political rights which they will exercise and to the obligation imposed upon them by the law of the land. The Delegation is astonished however,that there is no mention of any similar understanding with regard to the refugees to be resettled elsewhere. (b) The Delegation of Israel desires to stress it’s understanding that any repatriation in Israel as indicated by the Commission, would take place subject to financial assistance furnished by the International community and that such assistance would be extended to include the. resettlement of Jewish refugees from the Arab-controlled areas of Palestine (c The Delegation of Israel has already presented to the Commission a provisional estimate of the number of refugees which the Government of Israel would be ready to accept. It is desired, in this connection, to point out that the Government of Israel’s willingness to facilitate the task of the survey group rests within the framework of the contribution which it has declared itself ready to make to the solution of the refugee problem. (d) The Delegation of Israel desires to take this opportunity of reiterating its earlier statement to the Commission that the Government of Israel can agree to the repatriation of refugees to Israel only as part of an overall settlement of the refugee problem and of the Palestine conflict. THE REPLY: 3 September 1949 addressed to Mr. Reuven Shiloah, Head of the Delegation of Israel, by the Chairman of the Conciliation Commission, Emphatically dismisses the notion. referring Israel back to the armistice agreements. “2. 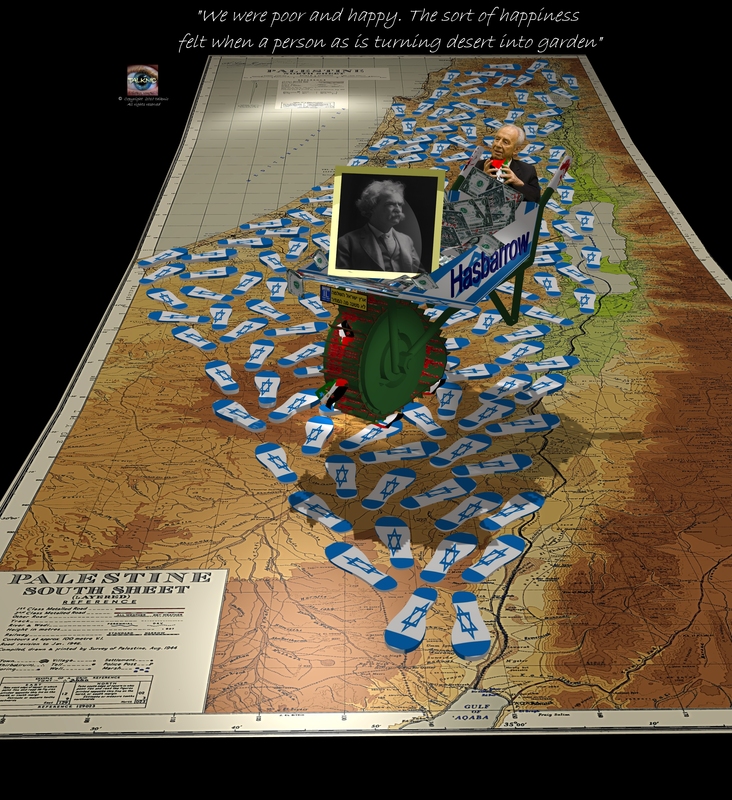 The Armistice Demarcation Line is not to be construed in any sense as a political or territorial boundary, and is delineated without prejudice to rights, claims and positions of either Party to the Armistice as regards ultimate settlement of the Palestine question” NB: (a) The territorial adjustments proposed above has the following effects: …etc etc The territorial adjustments proposed were not accepted, to the opposite effect. Actions speak louder than words. The ‘effects’ have been Israel has: A) failed to have “respect for and acknowledgement of the sovereignty, territorial integrity and political independence of every State in the area and their right to live in peace within secure and recognized boundaries free from threats or acts of force.” B) illegally acquiring by war, Sovereign Syrian territory (Golan ’67). (Israel was requires, agreed and withdrew from Egyptian territory BEFORE peaceful relations were assumed) C) illegally claimed non-state territories belonging to the Palestinians, prior to the question of Palestine being resolved. D) illegally annexed “territories occupied” E) illegally instituted Israeli Civil Law in “territories occupied” F) illegally built Israeli civilian infrastructure and dwellings for illegal settlers in illegally acquired and illegally annexed “territories occupied” G) illegally sold illegally acquired and illegally annexed “territories occupied” to illegal settlers H) has yet to write a constitution i) shown that it cannot be trusted J) As a separate state, taken away the Jewish right to live in all of Palestine, limiting Israeli Jews to only Israeli Sovereign territory unless, they become ILLEGAL settlers or citizens o Palestine or Syria (in the Golan). Furthermore, under the 1948 Israeli military ordinance, still current, it is forbidden for Israeli citizens or residents to travel from Israel into the territories of a hostile entity. Contrary to the Hasbara, the Israeli emergency Law of 1948 prevented Israeli Jews and Israeli Muslims, Israeli Christians et al, from worshiping in Jerusalem from 1948 – 1967. It is of course quite common for countries at war to either expel or inter foreign nationals and/or possible 5th columnists and to freeze their assets. It’s also common to repatriate then and release their assets at the close of hostilities.